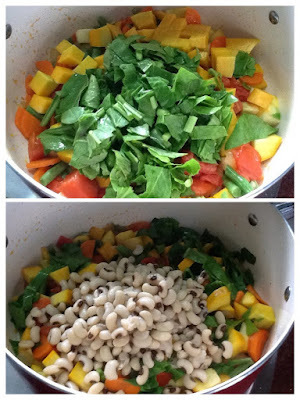 This is again a healthy one-pot meal, loaded with healthy vegetables, rich in fiber, any variety of dry beans and a wheat pasta. Whip up this soup in a jiffy with whatever veggies you have in your refrigerator. 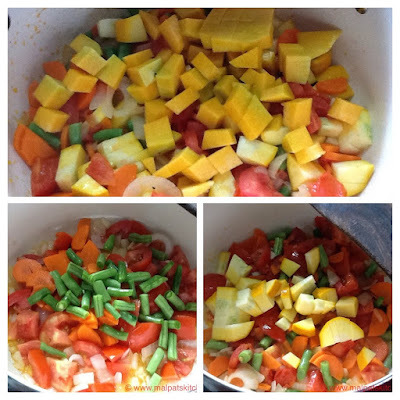 This soup gives immense content and fills your stomach, still you do not have any heaviness. 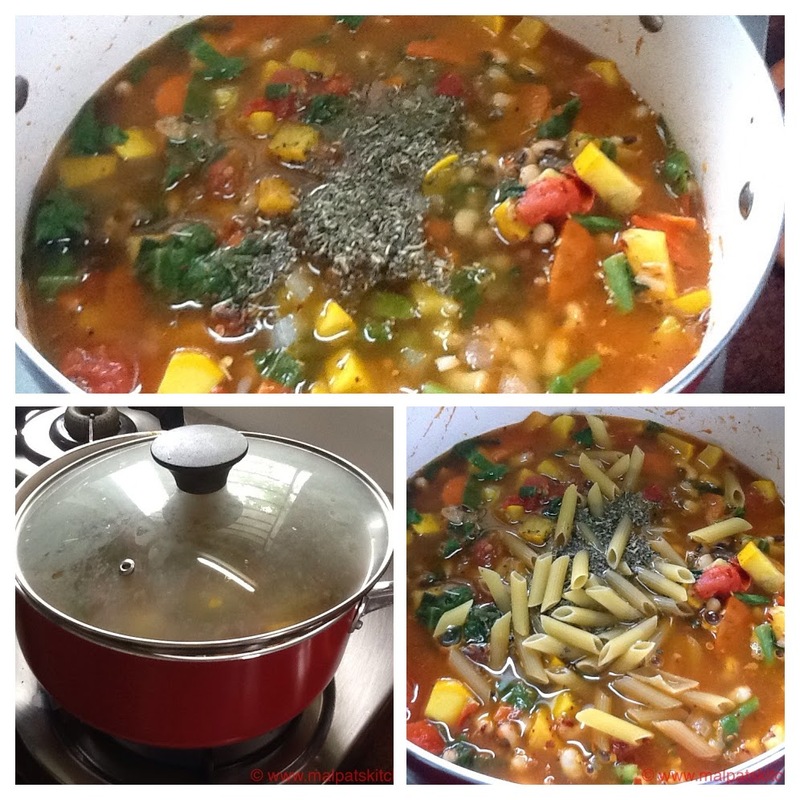 The word "Minestrone" is Italian, meaning "thick soup". 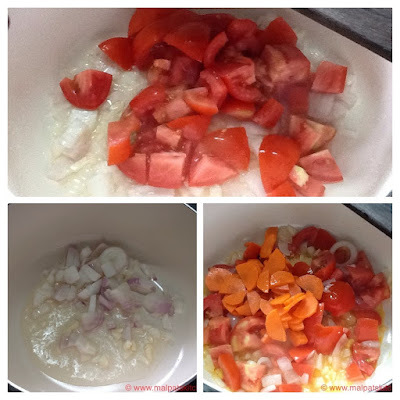 After the vegetables are half cooked, add salt to taste, then add the sweet and hot chilli-tomato sauce, pour some more water, if needed, and finally check whether everything is uniformly cooked. I had some low fat cheese slices at home, just tore them into small pieces and topped the soup. You can add grated cheese too. 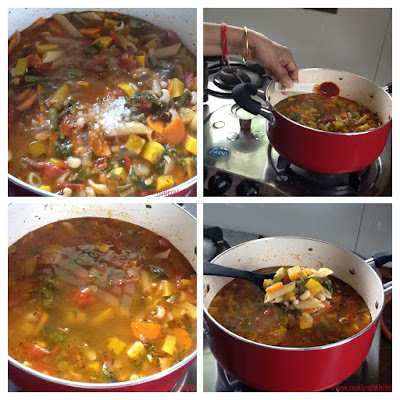 *This home-made Minestrone is a wonderful one-pot meal, really I am telling you, have 2 bowls of soup and your lunch or dinner is done!! What a healthy meal!!! *If you are a cheese lover, nothing stops you from adding a layer of grated cheese. *And just one vessel to be washed!! Isn't that really wonderful??? *This can be called a "No Crouton Soup".........since, there are loads of veggies, beans and pasta, and there is no need for croutons at all!!! The color and nutrition is bursting out and pouring down from the pot!!! Oh!! What a colorful amalgamation of veggies and pasta!! Forget about your usual lunch and let's get started to sink in our teeth into this heavenly soup!! Fantastic!! Lovely bowl of vegetable goodness. Thanks for sharing with NCR. The roundup will be up shortly.